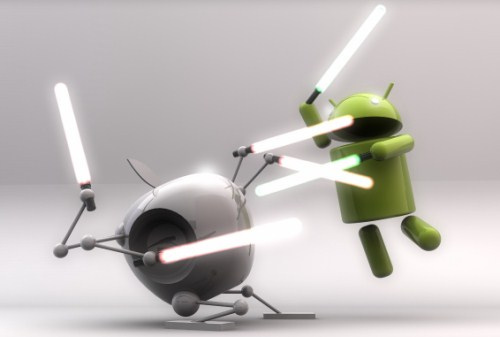 Home » Android » Android Phone VS Iphone: Which is Better? 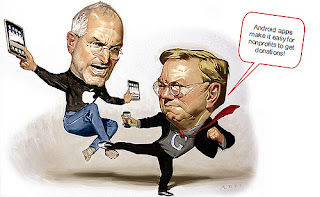 The iPhone distinguishes itself from Android phones mainly through its simplicity. Each generation of the device has had just a single model with various memory capacity options and, from the second generation onward, two available colors: black and white. On the other hand, there are a number of different Android based phones on the market at any given time. Several companies, including Samsung, HTC, and Motorola build phones to run Google’s operating system. This means two things: Android provides consumers with a greater range of options, but the lack of a close marriage between the software and hardware manufacturers, as there is in the case of Apple’s iPhone, results in a less stable product overall. When, for instance, Google releases a new version of the Android, it is impossible for it to be optimized for all the various devices that run the OS. Apple, by only needing to cater to a single model of its phone, does not have this problem. Apple has an annoying habit of labeling every new product it releases “revolutionary,” as this is often an overstatement. Not so in the case of the app store. When the company opened its iOS app store in 2008, it literally created an entire new industry. Today, there are over half a million apps available in iOS. As Apple has a penchant for saying, there is an app for pretty much everything. From the outset, Google emphasized that its operating system would be rooted in “openness,” giving developers the opportunity to create applications for Android without the stringent rules imposed by Apple on its app development program. While this policy has led to the creation of some great applications, it has also invited a great deal of malicious malware. Of course, this comes down to personal preference. Do you value simplicity or choice? Stability or customization? If you tend to side with the latter options, then an Android device is the way to go. If you are more attracted to the former options, you are probably an iPhone person. Either way, the level of quality both platforms have already achieved, and the pace they continue to improve at promise a tremendous user experience. UR Specialists in easy to use, big button home and mobile phones with clear easy to read displays.